The present translation of D.T. Suzuki is based upon the Sanskrit edition of Bunyu Nanjo (1923). This edition reflects those fundamental themes of Buddhism which the Mahayana in general cherishes and upholds. It looks at existence from the absolute and relative realms, and thinks that suffering will be experienced so long as one confines oneself to the realm of the relative. Since the relative cannot be ultimately realm, it has to be seen as nothing more than a projection of the mind. As to how to realize the ultimate truth of unity the text resorts to general Mahayana theory of Buddhalogy in which the Buddha is seen as the ultimate ontological principle. In order to realize unity with this ontic principle, we have to make use of such methods which, though relative, terminate in the realization of Enlightenment. These methods are spoken of as Skilful Means. As a spiritual manual, the text points out as to how the Bodhisattvas, on account of their unlimited compassion for sentient beings, work for the salvation of all. 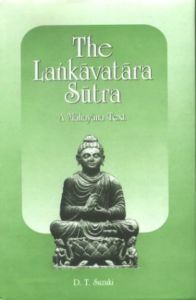 While delineating on the theme of Bodhisattvas, the text thereby speaks about the ten vows of a Bodhisattva. It is in incarnating these vows within that a real turn-about or spiritual transformation occurs, and thereby are uprooted the roots of ignorance. The text, thus, offers a spiritual banquet to those who want to taste the bliss eternal.